Alaska’s latest climate policy is still offline. So these students made a delivery to the governor. Shortly after Gov. Michael Dunleavy was sworn into office, the website with the state’s latest plan to address climate change went offline. It was created with months of planning by a team appointed by former Gov. Bill Walker. Now, more than 1,000 Alaskans have signed a petition asking the new administration to consider restoring the policy to the state’s website. On Thursday, two students arrived at the Capitol building with a delivery for the governor. 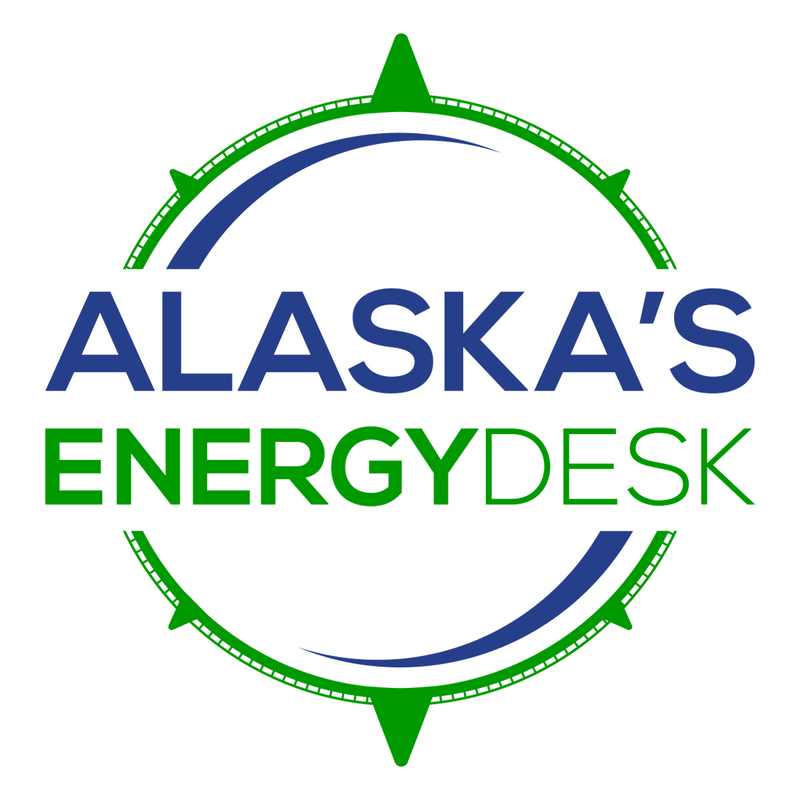 Cook Inletkeeper started collecting the digital signatures back in mid-December, after the website containing Alaska’s newest climate policy vanished. Griffin Plush, a senior at the University of Alaska Southeast, said he thinks Alaskans should have access to these public documents. He wanted to help hand over the petition to get that message across to the governor. “It’s really disappointing, and it’s really aggravating as a young person,” Plush said. What these students want to see back up on the state’s website is a robust policy that responds to everything from village coastal erosion to ocean acidification. During a transition of power, it’s not uncommon for a new administration to take things in a different direction. When Gov. Sean Parnell took office, he didn’t have much to do with a climate change report created under Gov. Sarah Palin. However, the state’s website is still linked to it. That’s not the case with this latest policy. 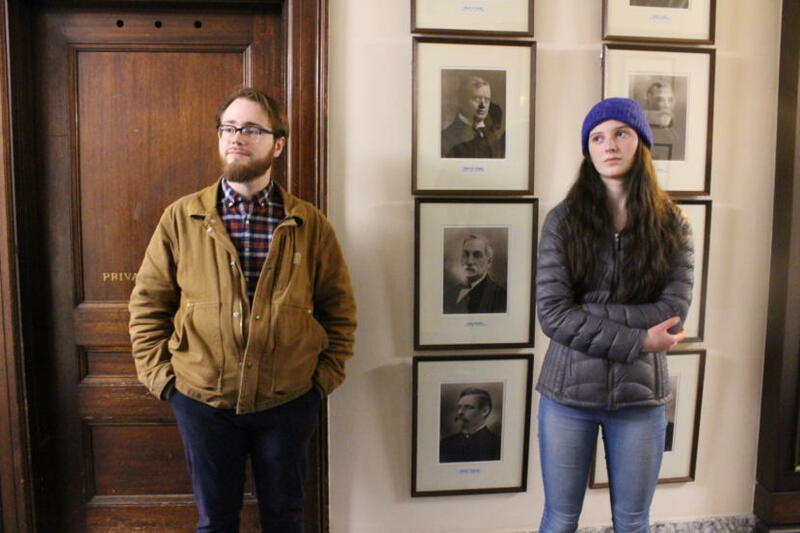 Up on the third floor of the Capitol building, Plush and the other student waited to see if Dunleavy would come out of his office to receive the petition. After about a minute, someone did come out. But it wasn’t the governor. A staffer tells them she’ll take it, but it’s not what she’d consider a legal petition since the signatures are digital and not handwritten. She says those are harder to verify. Fifteen-year-old Juneau-Douglas High School student Linnea Lenfort said she didn’t feel like it was the most welcome reception. But she’s going to keep asking the governor to restore the website. “Whether we get a response or not that doesn’t mean it’s the end of advocating for it,” Lenfort said. A spokesperson for Cook Inletkeeper said their intention with the petition wasn’t to go through the state’s legal rule-making process. The group wanted to put it on Dunleavy’s radar that a number of Alaskans are concerned. Meanwhile, the Climate Action Leadership Team — appointed by Walker — is still having informal discussions. The plan they created is archived, and it could be hosted on another website in the future.